Protecting our Constitution is a never-ending battle, and Democrats’ attempts to thwart it in Colorado come with a price tag — $15,000, for starters. That’s how much organizers are asking to get their movement off the ground and recall the recently passed law that joins Colorado to the National Popular Vote Compact. For those of you living under a rock who missed the news, this compact would award your vote to whichever presidential candidate wins in major urban centers along both coasts — also known as the popular vote. Opponents of the law are crowdsourcing their effort, which outlines their needs here. Just to get off the ground, they need $15,000 to pay for the petitions requiring at least 200,000 signatures. There’s two weeks left in their fundraising campaign, and so far they’ve raised more than a third, $5,320. This campaign is different from others getting off the ground that target Gov. 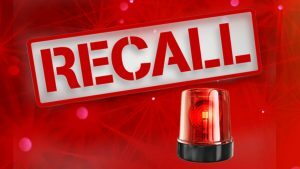 Polis in a recall effort because he’s being Gov. Polis Plus there’s other recalls likely to pop up after the red flag gun control vote. It just be raining recalls in Colorado right night with Democrats flailing at the wheel of power. Anyway, the effort to roll back the Popular Vote law and get Colorado out of that compact with other states like California and New York has a limited window to operate. All petitions must be submitted by an Aug. 1 deadline. Meanwhile, organizers are already on the ground collecting signatures, read here to find out more.